What Can American Workplaces Learn From 2017’s #1 Happiest Country in the World, Norway? Earlier this year, the World Happiness Index reported that Norway was the new #1 happiest country in the world (the US dropped a few places to #14). What makes Norway so happy? And what implications does that have in their workplace? 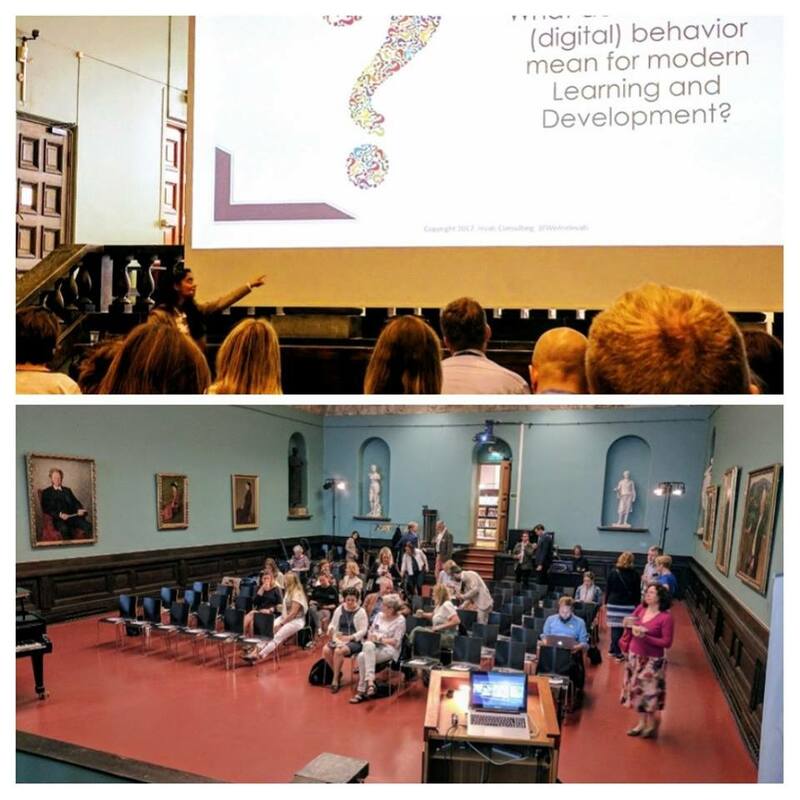 I recently presented at two world class events (Dossier Forum, a quarterly event hosted by a Talent/Learning Management Software company about Millennials and modern learning; and NRK, Norway’s equivalent of the BBC on global Millennial Values) in Norway and had a chance to immerse myself in Norwegian culture for two and a half weeks. Several key differences in cultural values stand out: trust, social welfare, reduced gap between wealthy and poor, close relationship with the land, and increased homogeneity. In the workplace, the implications include greater support for innovation in long-standing organizations, different seasons of productivity, tight community, and vernacular workplaces where people and life are valued. Many Norwegian organizations are state-owned. As opposed to a structure based on meeting higher and higher profit goals, organizations like NRK receive consistent funding from the government each year along with a paid user license model. In a surprising contrast from the US model, this structure actually unleashes innovation. The financial security of the organization creates safety to experiment as long as base goals are met. At NRK, this has allowed innovative projects to emerge. One example is the experiment of slow TV, in which for about 8 hours a channel showed live feed from the train going from Oslo to Bergen. A ride I took myself (see video below) and the experiment had great success with high views. Another example is the innovative work of Millennial and project manager of the Youth department at NRK, Thea Flinder, who introduced live artist collaborations as a part of the annual music awards show, which she was responsible for as the lead architect. Rather than the typical staged performance between awards, Flinder orchestrated ongoing live collaborations, with celebrities co-creating together in the moment of the event. The model makes it so that it’s actually more difficult for private companies to compete with the public sector – something we rarely find in the US where the private sector is seen as more forward thinking and fast growing than the public sector. 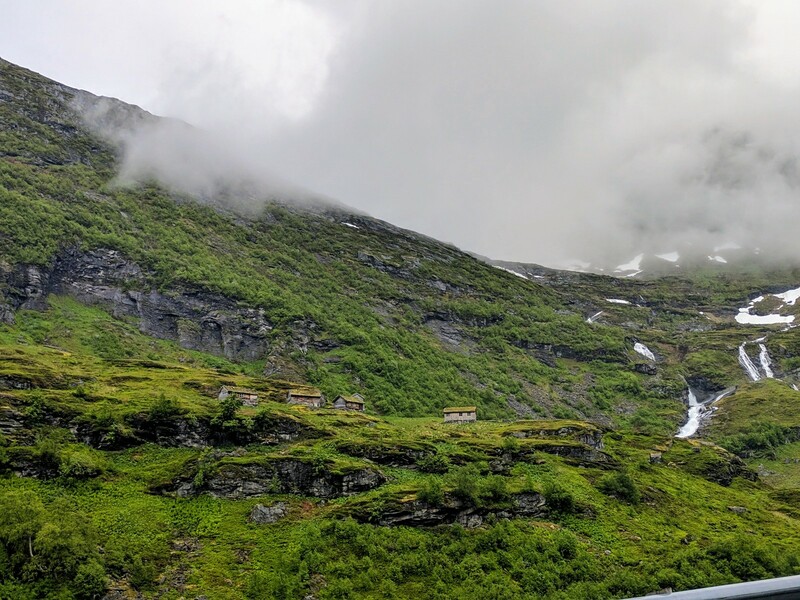 Click for a video of the train from Bergen to Oslo. The public sector plays a large role in day to day Norwegian life. There is a wealth of social welfare programs and when taking a closer look, uncovers many rich insights about Norway’s culture. Norway is a high-trust culture. Everything is based on trust. There is high trust that the government will take care of you — and for good reason. Norway’s wealth is a result of oil. But unlike many other countries, oil is a public sector industry in which the profits are funneled into social welfare programs and carefully metered out over time, rather than flooding the economy or landing in a few pockets. It goes so far that it was told to me that “If your kids are living in your basement, it’s the government’s problem [to find them employment].” This takes the idea of entitlement to a new level, especially for Norwegian Millennials who never experienced a time without the safety nets of a wealthy economy. There is also much greater gender equality in Norway, with both parents sharing equal responsibility for home and work. The level of respect between one another, between leadership and front line employees, between public sector and the public, is admirable. There is a distinctive pride and loyalty different from what I have experienced in the US. In addition to the evenness of wealth distribution reinforced by Norway’s governance, the concept of rich is historically very different in Norway. The wealthy’s dream is to build a hytte — primitive housing, traditionally without electricity and modern comforts – in remote, beautiful locations. Essentially, the rich man’s dream is what is usually considered being poor. The dream is rooted in an interesting principle, known as the Law of Jante, in which individual success is considered inappropriate and instead, equal opportunity for every individual should be the focus. It is often stated as “You are not to think that you are anyone special.” It is also rooted in the adventurous spirit of Norwegians, historically roots in Vikings, but today present as a need for a peace, a relationship with nature, and being rather than doing. With all these elements in mind, a culture where people, life, and work are valued and supported equally. Profit is not the only driving force behind business, but the well-being of people and the community as well. While ranked as #1 on the Happiness Index, it was interesting to observe the relatively low level of diversity and differences in the workplace. The tensions that mark high-diversity nations like the US and other parts of the EU were much lower. Immigrants in Norway seem to play a very particular role and take on particular positions. It’s not necessarily an easy place for an immigrant to excel. In addition to lower diversity in comparison to other developed nations, the culture is very close and tight knit. It is said that conversation only occurs between people when a purpose is already present. It can take a long time for Norwegians to become open and discuss personal issues, even among close friends. Norwegians are known for not saying hi to strangers and having a deep respect for personal space. From my observation, the lack of diversity and lack of openness creates a hindrance to innovation. The pool for ideas and improving upon ideas is smaller. The lack of purposeless, random connections stop ideas from emerging organically, when one doesn’t know what they are looking for. In addition, Norwegians that travel outside the country may be less adaptable to other cultures, especially ones who do not have such trustworthy governance and social welfare focus. A short, final note. I went to Norway during the summer, the time of the so-called midnight sun. The days are long – 20 hours and in the north, the sun doesn’t set. People come to life. You can work all day and go hiking at 10 pm, no problem. But of course, in the winter, what goes around comes around and the day is light for only a few hours. Productivity and energy change with the seasons in Norway. What degree of safety net could enable innovation while not hindering motivation? With very little safety net today, large American organizations tend to get mired in short-term firefighting and struggle to take risks, in a time where industry disruption is an enormous possibility. How do we build trust in our organizations today? How important is enabling employee and community well-being to an organization’s success today? Why? How does America’s higher degree of wealth inequality show up in the workplace? How has the American dream changed over the years and how does it impact the motivation of American employees, across the wealth of diversity (native or immigrant, multiple generations, etc)? Crystal Kadakia is a two-time TEDx speaker, author, and consultant on Millennials and modernizing the workplace. Her unique expertise is in driving the connection between Millennial behavior and creating the future of work fit for a digital world. Her company, Invati Consulting, modernizes the workplace through speaking, training, and consulting solutions. She is the author of The Millennial Myth: Transforming Misunderstanding into Workplace Breakthroughs and Your Career: How to Make it Happen. She is the creator of the award-winning virtual, blended training on generations, Generation University™,the Modern Learner Workshop, and the Modern Culture Diagnostic™ that drives organizations to strategically shift culture for the needs of modern employees.